Understanding behavioral finance is fast becoming an essential element to being an effective advisor. Making better decisions – and helping clients avoid “decision errors” – adds quantifiable value and differentiation. In fact, numerous studies identify “Behavioral Coaching” as a critical element of an advisor’s value. But no programs actually translate behavioral finance from the science to actual application… UNTIL NOW. The Certificate in Applied Behavioral Finance combines three key elements that ensure advisors can apply the concepts of behavioral finance. Differentiate your investment approach with prospects with the ability to deliver the value of behavioral coaching. Communicate more effectively with current clients on key investment concepts. Engage clients in effective decision making by providing the objective research and perspectives they value. Enroll online today to develop your ability to be a behavioral coach to clients. The curriculum consists of 7 online modules available 24/7. First, we’ll look at our brain and how it functions. Next, we’ll isolate the most common decision errors that we are all subject to making. Finally, we’ll put specific practical applications to each of these topics with what is best referred to as Behavior Alpha. What’s covered: The two primary functions of the brain from an evolutionary perspective are covered in this module, including how they can easily override our ability to make logical decisions. Why it’s important: Many have termed the tendency of investors to “buy high and sell low” as irrational. From an evolutionary perspective, this behavior is arguably perfectly rational. Understanding how the brain is hardwired to react in specific situations is the first step in helping investors avoid common decision errors. What’s covered: The characteristics of effective Behavioral Coaching, including the PAUSE technique, are covered In this module and applied to our first two decision errors – Panic Selling and Chasing Performance.  Why it’s important: The ability to modify poor investment behaviors is central to effective behavioral coaching. After all, advice is only valuable if it’s followed. Panic Selling and Chasing Performance are well-documented and cost investors billions annually. The ability of the advisor to reverse these behavioral tendencies is central to delivering behavioral alpha to the relationship. What’s covered: In this module, we introduce a taxonomy of four broad categories of behavioral biases, including Attention Risk, and how they can lead to two common decision errors that we refer to as “Drowning in the Noise” and “Moving the Goal Posts”. Why it’s important: As Advisors, we don’t have an information shortage as much as we have a shortage of attention. After all, we’re expected to monitor virtually everything that might impact client portfolios. But in the process, it’s easy to get distracted and focus on the wrong information when making decisions. What’s covered: In this module, we focus on our second broad class of behavioral biases – Ego Risk – and how it can lead to two common decision errors – “False Prophets” and “Betting on Red”. Why it’s important: We live in a world of experts who are quick to make predictions on how the markets will unfold. Research, however, reveals that their confidence often exceeds their accuracy, leading to an illusion of control over outcomes. Understanding the characteristics of the environment being predicted is the first step in assessing how much reliance we should place on our insights and forecasts when making decisions. What’s covered: In this module, we focus on our third broad class of behavioral biases – Conservation Risk – and how it can lead to two common decision errors – “Liability Mismatch” and “Holding Losers”. Why it’s important: Our natural human tendency is to pursue things that bring us satisfaction and avoid things that bring us pain. In the investing world, this can easily lead us to prioritize our preferences for safety in the short term over our need (capacity) to take risk in the long term. What’s covered: In this module, we focus on our final broad class of behavioral biases – Emotion Risk – and how it can lead to two common decision errors – “Unrealistic Expectations” and “Home Sweet Home”. Why it’s important: It’s unrealistic to believe that we can completely separate what we think from how we feel when making decisions. This is especially true when making decisions in the face of uncertainty. In these situations, our natural default is to rely on our intuition because it is based on a lifetime of experience. The problem is that our intuition is often wrong in the domain of investing where making probability-based decisions is often the best advice. You can complete the program at your own pace, and will have unlimited access to all content. Author of five books, including the New York Times best seller on Behavioral Finance Personal Benchmark and his latest The Laws of Wealth, Dr. Crosby brings his research and insights on behavioral finance into the program. A featured industry speaker, Dr. Crosby brings unique perspectives on the science of behavioral finance and its applications for advisors. Keith Van Etten is the Founder of Van Etten Consulting and has worked in the financial services industry for over 25 years. His experience ranges from private banking to national sales as a major asset manager. His perspectives center on the enormous potential to improve investment outcomes through the application of behavioral finance.